When entering the age of 9 months, the baby is getting interested to eat by using his own hands. Starting with scooping with his hands, until finally, the baby can hold food with his finger. At this point, the baby will signal that he is ready to consume a variety of foods. But, you still need to know what baby food for 9 months. Because there are foods that he may consume and some are not. Entering the age of 9 months a very fine food such as porridge can be slowly stopped. And now, Baby has begun to learn to know the aroma, color, and texture. Food consumed was not enough just a small cut but also need to make sure that the food has been cooked until soft. This cooking process will avoid the risk of Baby to choke. You can give Baby Vegetables boiled until soft and cut into small pieces. Such as yams, peas, potatoes, or carrots. These vegetables can not only be the main food menu but also can be a snack for the Baby. In addition to healthy, these small boiled vegetables and small cuts can also help your child train his motor. In addition to vegetables, you can also provide small fruit such as bananas, melons, watermelon without seeds, and pears. Although the types of food consumed by babies have begun to vary, there are some foods that are advised to be avoided. For example, half-cooked or raw eggs, whole beans, and foods high in fiber, low fat, and low in calories. In addition, you are also advised not to give fish that are at risk of high mercury such as marlin, swordfish, sword, or shark. Because fish that contain high mercury can interfere with the development of the child's nervous system. Also, avoid giving your child honey. Although good for adults, bacteria in the honey can damage the baby's intestine. Other foods that need to be avoided by babies are raw shellfish because of the risk of making your baby food poisoning. Limit also salt and sugar delivery to infants. Entering the age of 9 months, babies begin to want to consume a variety of foods and holding it yourself. 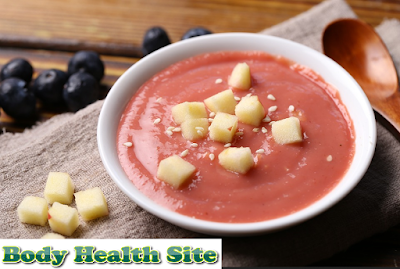 Take advantage of this time by giving your baby a range of 9 months baby food on top, either as a snack or a main meal. This is intended to keep the nutritional needs of the child is maintained and the ability to grasp the better. 0 Response to "It's a 9 Month Baby Food Row"